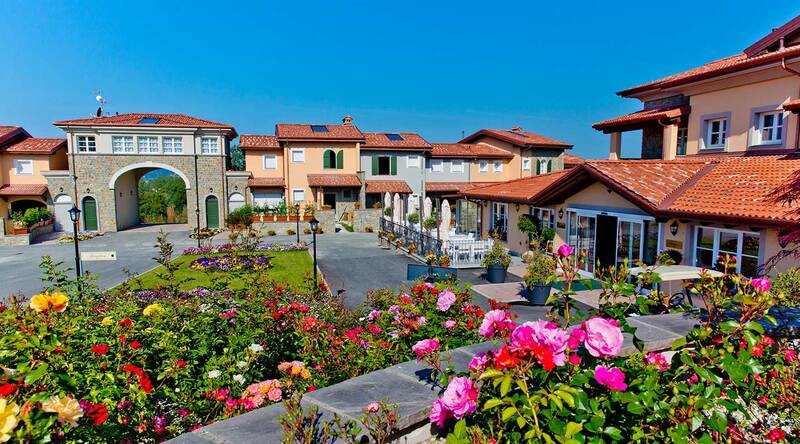 The Villa Carolina Resort is situated in a prime location. The local territory offers an infinite array of opportunities for sports and cultural enthusiasts, as well as lovers of traditions. The territory almost entirely consists of hill landscapes mostly within the Alessandria and Asti provinces. It stretches down from the right bank of the Po up to the feet of the Ligurian Apennines. History, art, architecture, tradition and craftsmanship co-exist in an extraordinary landscape, just waiting to be discovered. This "sea" of both gently rolling and steep hills covered by woods and vineyards stretches out for as far as the eye can see. Suggestive planes that cradle rice fields, and the river Po which unites the landscape to the relaxing rhythm of its flowing waters. 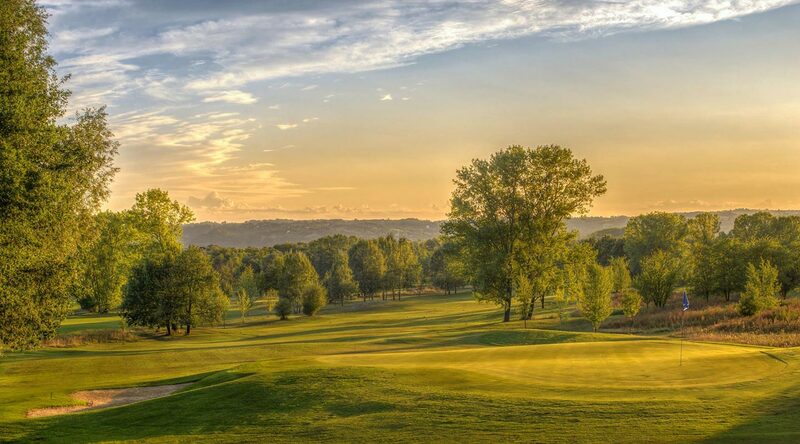 The territory is rich in wonderful opportunities for visitors, not least in virtue of excellent local food and wines: barbera, freisa or grignolino to wash down precious traditional Monferrato recipes, while admiring local folklore and tradition. Casale is the capital of this wonderful land, a city which is home to some of the most splendid baroque buildings in Piedmont. The surrounding landscape is dotted with neighbourhoods restored to their former glory, castles, cellars and mills. Charming and often little-known locations just waiting to be discovered by visitors who will be duly rewarded with flavours, aromas and colours unique to the local area, along with opportunities for wellness, relaxation and the chance to experience a different concept of vacation and leisure. 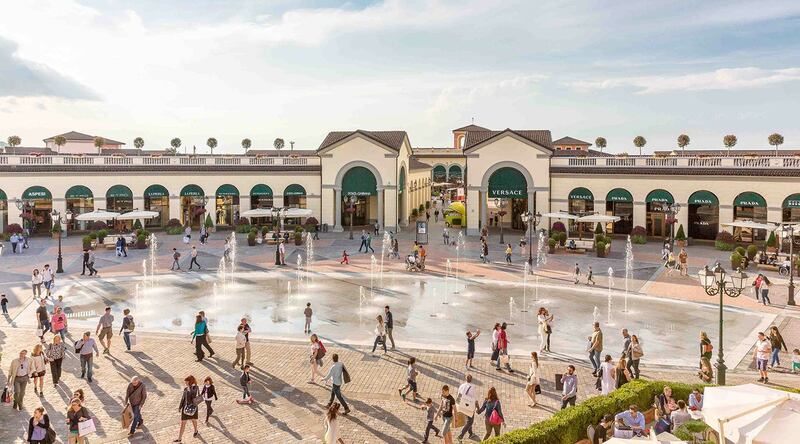 Located in a splendid architectonic setting in Serravalle Scrivia, inspired by Ligurian palaces: this is the largest outlet in Italy and Europe. Bars, restaurants, play areas for children, convenient free parking facilities and a staggering 190 shops, you'll always find something special, with discounts of up to 70% all year round: a paradise for all shopping enthusiasts. This destination is dedicated to lovers of culture and history. Libarna is an ancient Roman town located on the left bank of the Scrivia river, dating back to the 2nd century BC, along the via Postumia which was an important road linking Genoa and Aquileia. The town was "rediscovered" on occasion of the opening of the Turin-Genoa motorway in 1820, the construction of the Genoa-Novi-Turin railway lines in 1850 and the Genoa-Milan line in 1912. It presents a typical Roman urban layout, characterised by at least two of three main elements: a network of roads which intersect at right angles and a centrally-located square. The location of the city walls remains uncertain.